You manage a structure that delivers foreign language training. Perhaps you also deliver language and training services to companies and other bodies. For you, Ev@lang represents an opportunity to develop, complement and/or diversify your activities. Become an Ev@lang partner distributor so that you can use the tool within your own structure or that of your partner customers. 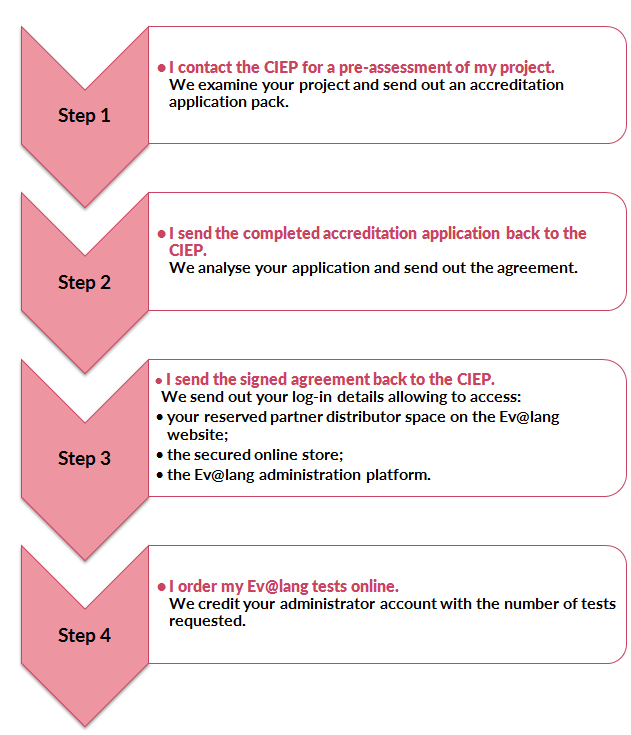 The CIEP allows its partners distributors to use the Ev@lang brand according to the terms and conditions defined for this purpose. Partners distributors have access to all the materials required to promote Ev@lang and distribute it throughout their network.